In 2014, the number of mobile devices exceeded the world’s population. As consumers, we have grown accustomed to a certain comfort, meaning that our connections and our everyday tasks have become highly dependent on our use of our smartphones and our tablets. But as professionals, have we fallen under a false impression of productivity? Certainly, the highest priority and focus of all corporative representatives is concentrated on security. And for a good reason as well. According to the IDG Research survey conducted in August this year, 52% of IT leaders reported a significant increase in data breaches over the past twelve months. 38% of them stated that malware apps are the main cause of data breaches today. Questioning the positive impact of productivity in these circumstances may be labeled as a redundant statistic, yet there are noteworthy resources which imply that the results might just be worth the effort. 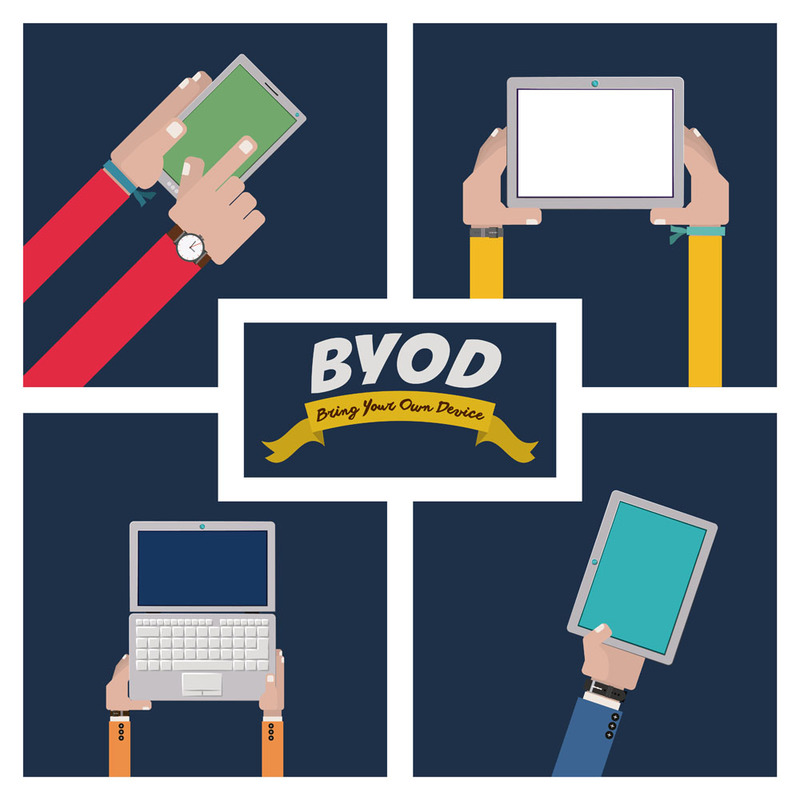 A Vanson Bourne survey commissioned by Dell software, noted that two out of three companies support BYOD policy mainly because of its contribution to the major boost in productivity. Out of 1,458 IT heads surveyed, 59% actually expressed their concern that they might fall behind their competition, in terms of progress, if they would discourage BYOD policy in their organization. However, while 74% of them encourage this policy, and believe that it is very important for the company’s efficiency, 66% of them agree that it has also massively increased the security risk. While Vanson Bourne study was conducted on a global scale and concentrated mainly on large enterprises, a 2014 report from TechPro can give us an insight regarding regulated industries and business in general and how this relates to global companies. According to this survey, 60% of 198 businesses and organizations interviewed already implemented the BYOD policy, while 14% of them plan on doing so in the following period. The key findings also suggest that the highest response thus far has been noted in small business organizations. Apparently, 61% of businesses with up to 50 employees allow the use of personal devices for work purposes, and 15% plan on implementing this policy in the following period. This statistic alone puts small businesses ahead of all organizations currently considering BYOD policy. Once again, we have to reflect on security issues in this field alone. Small businesses are equally subjected to risk of having their data stolen or breached, due to negligence, failure of comprehensive implementation of policy, or from a third party breach as well. While 75% of mobile users in the SMB category agree that their device is of critical importance to their work, 92% of them confirmed that they store at least some of the company data on that same personal device. Almost a third of small business owners believe that this poses no threat to their company in any way, but the latest PwC and McAfee reports suggest otherwise. It seems that 90% of SMB’s don’t use any form of protection against cybercrime. Although this fact undoubtedly distinguishes SMB as a favorite choice of hackers, 80% of breaches occur due to employee negligence and misbehavior. While the heads of companies believe that they should implement a stronger security measures regarding apps, encryptions and devices in general, the main problem remains unaddressed. Very few companies are actually devoted to the training of their employees, and this human factor is the greatest safety risk of the BYOD policy. In fact, 56% of enterprises also treat devices as the main cause of security breaches, instead of implementing a user-centric approach to this matter. As an alternative to searching for an appropriate balance between security and productivity, SMB owners should concentrate on one aspect in particular – collaboration. Out of 790 IT professionals surveyed, 65% reported that their companies apply some level of limitations regarding file-sharing applications between employees. Although this approach showed no improvement whatsoever, and security breaches are multiplying by year, the dreadful figure of $100,000 cost of a mobile security incident in average motivates SMB owners to try everything that they possibly can to make devices safer. 38% reported that they are blocking certain websites as well. The question of users themselves still remains disregarded. Certain cloud vendors even offer a service of constant monitoring of a company’s workflow, but still there are very few efforts to familiarize the employee with the platforms and possible risk. The majority of collaborative applications, like Google for Work tools, have a real-time editing option with a comprehensive record of alterations and users responsible for the same. Google even helps companies to make the switch to their platforms, not just monetarily, but also in terms of training. In Google Apps Learning Center, both business owners and their employees can be taught how to use all available applications and possibly find out more options that could improve their work. The question of security is highly regarded as well. Here you can find out how to organize your workforce more effectively, inform them about safety measures and how to honor them, and you can also learn how to protect your data in general. Collaborative platforms and activities such as training of this sort could serve as a possible solution. It will increase the awareness of this issue if nothing else, and that is the important part – education of employees and making them aware of the responsibility to their colleagues and to their company. The implementation of BYOD policy has certainly found its place in the hearts, and the hands, of our employees, and it is evident that it is here to stay. As a productive tool it has become instantly indispensable, and the majority agrees that revoking these measures wouldn’t make sense at this point. However, when we are discussing security, our main focus should be shifted and concentrated on user-centric approach instead of investing in complex solutions that produce very little results. Once again, your workers will have to work on collaboration and teamwork to ensure your company’s advancement.